Since it is a KTC product, it can be used without any problem. This review is about item#7115333. Most of them do maintenance of rotating machines. This time, the box (socket) purchased has been shortened compared to what we have used so it has become easier to work in narrow places. I think that the price is also cheap and very good product. I arrived very quickly and I am satisfied. This review is about item#7115412. Reliable tool KTC changes the feeling during maintenance. As I thought it was not wrench as well, sockets were easier to buy as there are places to use more easily. This review is about item#7115552. Until now the socket used was hexagonal, but since I bought this time it is 12 angles so it's easy to use even in a subtle angle place. This review is about item#7115525. 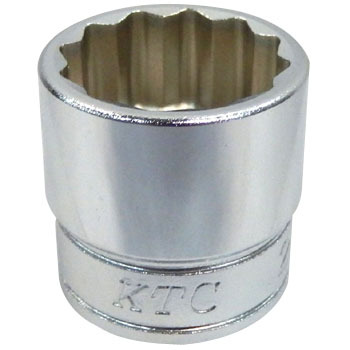 I bought KTC's socket for the first time in 20 years, but I like the design and I love it. The feeling of use is the best! This review is about item#07115455. This review is about item#07115482. 6 Since the feed angle is smaller than each, it is easy to work in a narrow place. This review is about item#07115586. This review is about item#07115613. As expected it is the quality of KTC. Even if you put strength, you can use it with confidence. I sold 12 corners in the neighborhood, so it was useful.